On 15th August, Brenda, Ciaran and Patricia travelled through to Glasgow for the Scandinavian FITA fearing the worst as the rain had been constant all the previous night and throughout the journey. 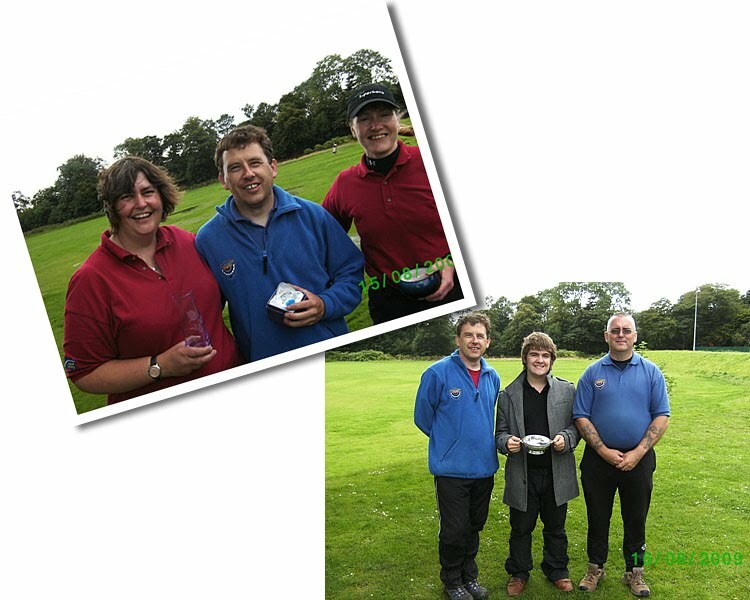 Most entrants decided not to shoot, and if it wasn't for the 3 of us saying "what's a little rain?" the organisers probably would have cancelled. However, our bold decision to stay and shoot, encouraged some other loonies to stay on as well, and we were rewarded with a glorious day, with sunshine and no wind. Unusually though, we shot the competition in reverse to allow time for the flooded field to drain ! Brenda chose to change bowstyle at the last minute and went to Barebow. She ended the day claiming another 4 Scottish records (Ladies FITA, 60m, 50m, and 30m), breaking some of the records that she set at Milngavie the previous month. On 16th August, Ciaran and Brenda returned to Glasgow for the York/Hereford, along with Douglas and George B. Most of the entrants decided to stay for this tournament, but the weather conditions proved to be far worse than the previous day with some rain, and very gusty winds throughout. Ciaran, George and Douglas brought home the Recurve team trophy for the second year running. 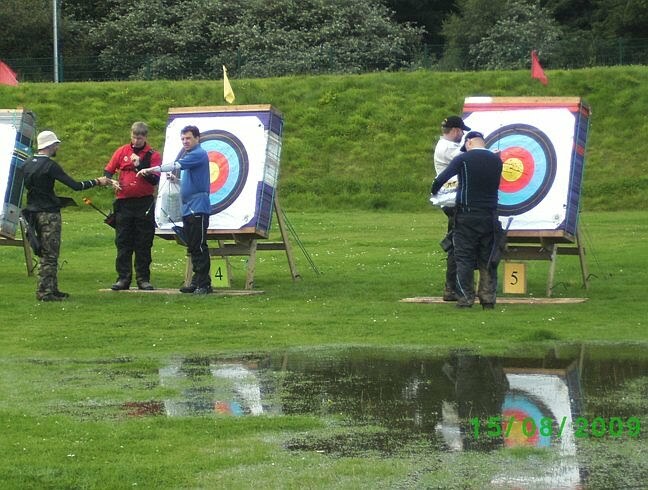 George also claimed bronze in the Gents Recurve and the Worst White Trophy, Douglas won the JBU18 category and Brenda got the Ladies Recurve Bronze.